SpoiledLatina Night with The Houston Rockets...join Me! 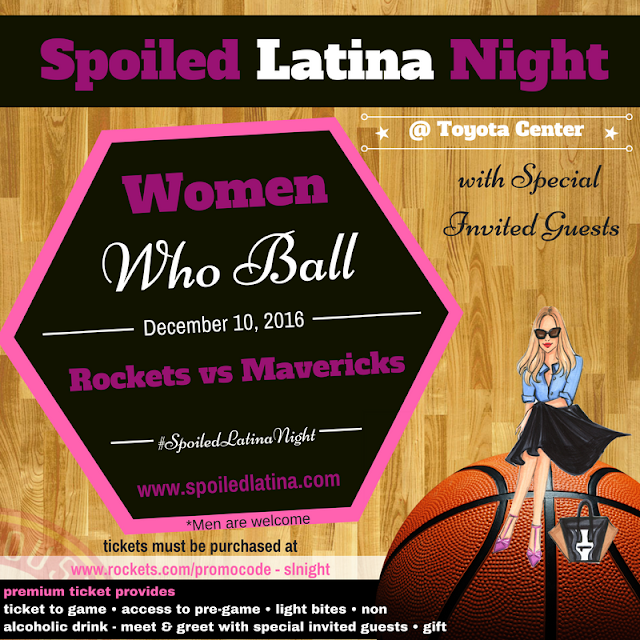 SpoiledLatina Night with The Houston Rockets "Women Who Ball" event. The Rockets host Dallas Mavericks and this state rivalry game will be a good one, especially in the company of likeminded powerful women who we can all be inspired from. The date is set, December 10th....I hope to see you there! a huge thank you to Boost Mobile for being the official sponsor of the night!